FindItMore | When you think about online yoga classes you usually picture it as an activity that is only for you, something that you do by yourself in your own time. 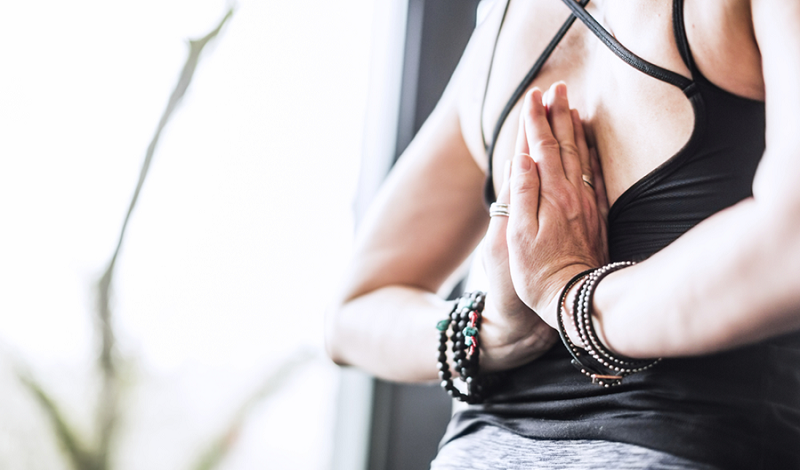 While setting up your own schedule and practicing yoga in the comfort of your own home are great benefits that online yoga classes offer, no one says you can’t share the experience with your friends. The online yoga classes that Glo has to offer give you the chance to have a better understanding of the practice regardless of the level you are at, and set up your own pace. Some people enjoy practicing yoga on their own, for many reasons, but there are plenty of benefits when it comes to sharing the classes with your friends. No one says you can’t include a Glo class at the next girls’ night hosted at your house and practice it in the privacy of your own living room. You can invite a bunch of friends over and make an event out of it. If you’re a beginner it’s also not a bad idea to share yoga classes with friends. Regardless of what level you are all at, you might feel motivated to improve a lot faster if you get the encouragement from your friends. Having that support system could really push you to deepen your knowledge of yoga and meditation. Besides the encouragement that comes with sharing Glo classes with friends, you will also be able to help each other out through the poses and make sure that everyone is going through the sequences correctly. If you have friends that are already experienced then it’s even better. Sharing online yoga classes with friends can also help you if you’re trying to get into a routine. Sometimes life gets in the way and you might feel like you’re too tired to stick to your usual yoga schedule, but if you have friends there to push you then you will be compelled to join in – which in turn will get you into a rhythm so that you’ll never skip yoga again. This could be especially useful if you’re someone who struggles with getting into a routine. Practicing yoga with friends can really help you improve and get you into a routine, but at the same time it will also create memories. Since you and your friends are all on the same journey, you all have something you can share. In turn, this will deepen the friendship, given that you will all feel a sense of mutual success. Founded in 2007 and based in Santa Monica, California, Glo was launched by the brothers Ryan and Derik Mills, with the aim being to make yoga more accessible. The platform features a wide range of online yoga classes that are professionally filmed and which cost as little as $18 per month. As a result of passionate yoga practitioners and world class teachers, Glo managed to grow organically over the past decade. The company’s mission is to create intelligent tools which challenge people to live a fulfilling life. At Glo, yoga is seen as the acceptance of the invitation to live fully, which is a lifelong process. The platform aims to empower people from around the world to engage in the complex practices of yoga. Regardless if you’re a beginner or an experienced yoga practitioner who’s looking to push himself to the limit, Glo has you covered. The platform has plenty of classes that you practice alone or share with friends, depending on what your yoga and meditation needs are and what changes you are looking to make in your life.